Places of magic, ancient astronomy or sites of pagan worship, stone circles are monuments to the Neolithic or post-Neolithic people who built them. The most famous of these architectural mysteries is Stonehenge. These amazing feats of engineering exist in many places in the world although England seems to contain the majority of the structures. Archeologists don’t know why the circles were built but they have made guesses as to the means of transporting the massive blocks of stone. The builders might have used barges to transport the pieces from the quarries or taken advantage of pieces left behind after glaciers retreated from the areas. When rivers where not available, the stone pieces might have been placed on large logs and rolled from one to another. 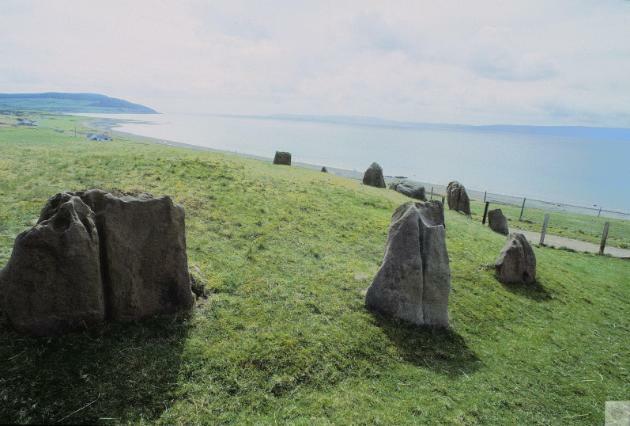 A stone circle played a pivotal role in Diana Gabaldon’s Outlander series. The main character, Claire Beauchamp-Randall steps through a stone circle while on vacation with her husband, Frank, in Scotland after the end of World War II. She then meets Jamie Fraser, a Jacobite Highlander. Ms. Gabaldon has stated she didn’t use any specific circle as a model in her books. 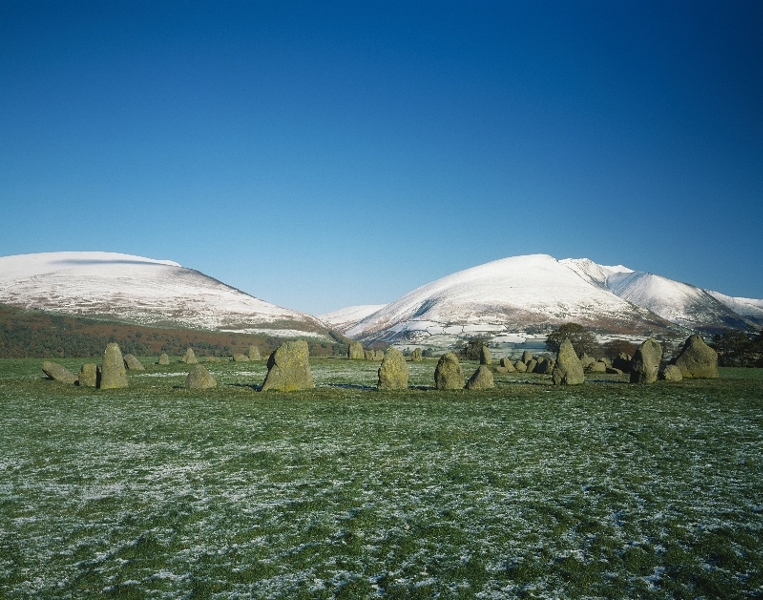 Castlerigg Stone Circle is 1 ½ miles east of Keswick in the Lake District was most likely constructed sometime in 1500 BC. 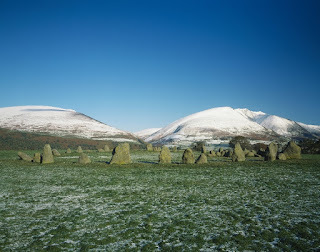 Locally, it it known as the Druid’s Circle or Keswick Carles and is surrounded by beautiful mountains. The 38 individual blocks make up an oval 100 feet to 110 feet in diameter. Further, there are ten additional stones in a rectangle at the south-east end. Stanton Drew Circles and Cove is found east of Stanton Drew village. The circle is actually made up of three separate circles probably going back to the Bronze Age. 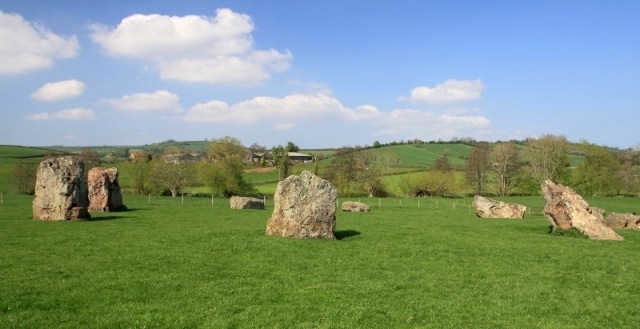 The biggest circle consists of 27 standing stones; the other two have 8 and 12. Locals refer the the three circles as the ‘The Devil’s Wedding’ after a legend that tells of a wedding party held on the Sabbath to piping by the Devil himself. Each member was supposedly turned to stone and frozen in the spot they danced, where they remain to this day. 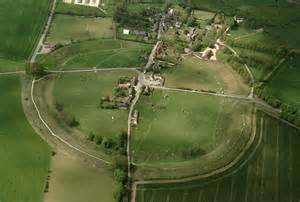 The biggest stone circle is Avebury, near the village of Avebury in Wiltshire. The henge was built sometime around 2000 BC. and consists of a circular bank, ditch and three stone circles. The main circle has 98 slabs and the two smaller ones originally had 30, although some have been broken over the years. The ditch was 30 feet deep and the bank 20 feet high and 1400 feet in diameter. A rather impressive place, indeed. 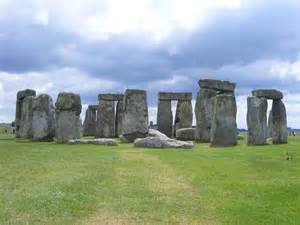 The most famous place is Stonehenge, located on the Salisbury Plain, west of Amesbury. As with Avebury, Stonehenge is a combination of stones and ditches. It is now fenced off to prevent damage by curious tourists. The massive bluestone and sandstone blocks were probably first carved from a quarry in the Bronze Age 2500 BC. in a series of five stages through 1500 BC. The biggest of the stones weigh about 45 tons. No matter where you travel to see these ancient wonders, one has to agree they are marvels and places of magic. Very interesting information, Diana, thanks. You are very knowledgeable. How did you become interested in this topic? I'm English by birth and started reading medieval history as part of my research for my fiction and genealogy. Thanks for checking my blog! This is a very interesting topic, Diana. Not your usual run-of-the-mill blog topic and extremely interesting. Good job! I agree, Diana, with Dave and Jackie, very interesting post! Enjoyed very much. I've only been in England once, and the trip was short, but did go on a tour that took us to Stonehendge--it was awesome (even with all the tourist around!